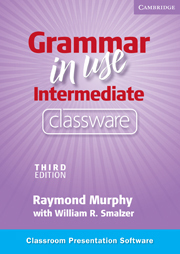 Grammar in Use Intermediate Classware is a presentation tool that allows you to present the Student's Book pages in a lively, interactive way at the front of the classroom. Classware can be used with all types of interactive whiteboards or simply with a computer and projector. You can make each page of the Student's Book come alive by highlighting, erasing, hiding, and revealing text; making and saving your own notes; creating text boxes; drawing lines; and attaching files. 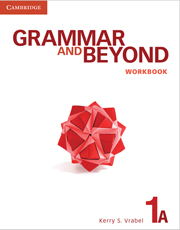 You can also zoom in on explanations and exercises and connect to online dictionaries.